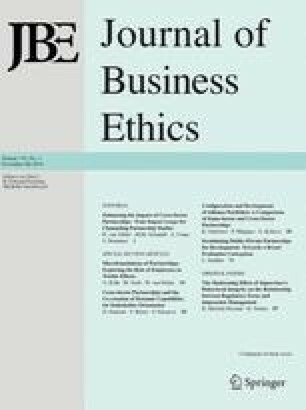 This article discusses the major criticisms posed in “On Measuring Ethical Judgments” concerning our ethics scale development work. We agree that the authors of the criticism do engage in what they accurately refer to as “armchair theorizing.” We point out the errors in their comments. Dr. R. Eric Reidenbach is Professor of Marketing at The University of Southern Mississippi. He is the coauthor of two books on business ethics and writes extensively on the subject of the measurement of ethical decision making. Dr. Donald P, Robin is Professor of Marketing and Professor of Business Ethics at The University of Southern Mississippi. He is coauthor of two books on business ethics, as well as numerous articles. Dr. Robin is also a frequent lecturer on the subject of business and marketing ethics.